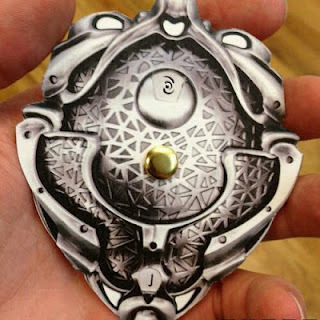 The good folks at Cubeecraft have created a 2D papecraft decoder to translate the Barsoomian lettering used in Disney's John Carter movie and related merchandise. Dial in the Martian letter at the top and the English letter it represents appears in the window at the bottom. The decoder is modeled after the Thern teleportation medallion seen in the movie. The template is available here. I posted a rancor mask earlier this month. 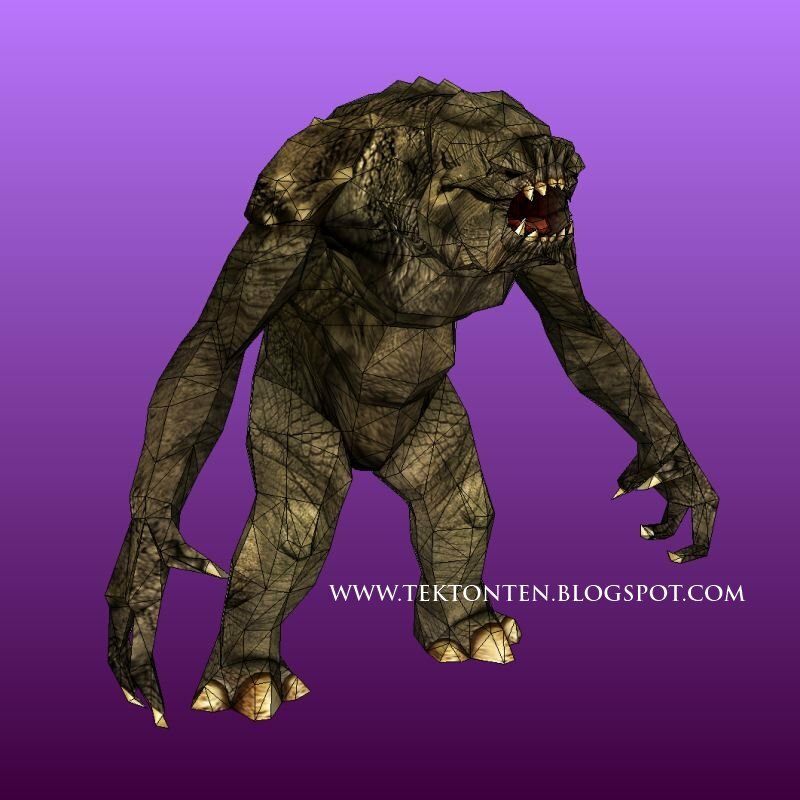 Is it too soon for another rancor papercraft? Naaah! The rancor scene is one of the best parts of Return of the Jedi, especially the part when Luke Skywalker wedges a bone in the rancor's mouth to avoid being eaten. This paper model rancor by J. Ossorio has a finished height of 12.5 " (32 cm). The Pepakura PDO template may be downloaded here. The character Auron first appeared in the Final Fantasy X video game. Auron also makes an appearance in Kingdom Hearts 2. 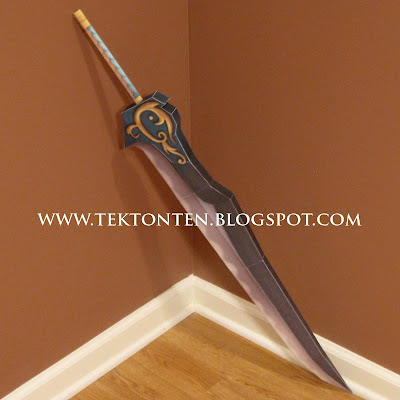 This papercraft sword is how Auron's weapon appears in KH2. The finished model is 37" (95 cm) long. It has only 15 parts making it a fairly easy build. I intended the sword to be primarily for display, so if you want to use it for something active it will need to be reinforced on the inside. A download of the template for the sword is available here. 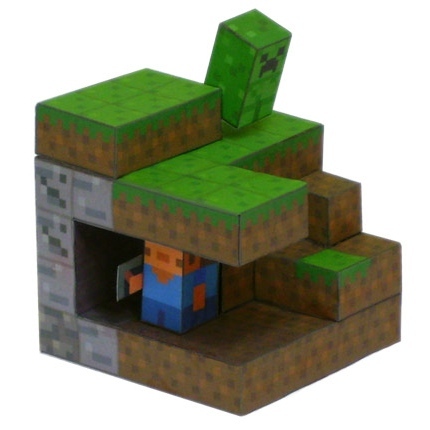 I am not sure exactly how small this papercraft Minecraft diorama really is, but the unfolded parts all fit on one printed page. 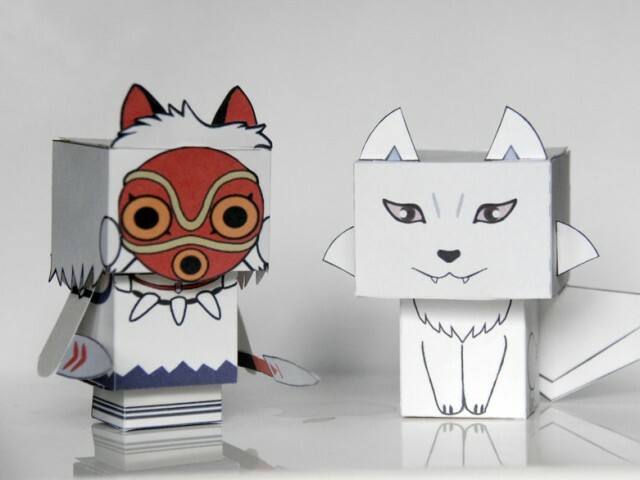 Says creator Tubbypaws, "This is my little papercraft tribute to the blocky block 3d block game with all the pixely blocks and scary block things that run after you." Oh that silly Tubbypaws. Get the template for the diorama here. Just in time for Halloween, DeviantARTist EuTytoAlba has created a Chernabog mask. Eh, who's Chernabog you say? Remember the massive demon-like figure in the "Night on Bald Mountain" scene in Disney's Fantasia? Yep, that's him. 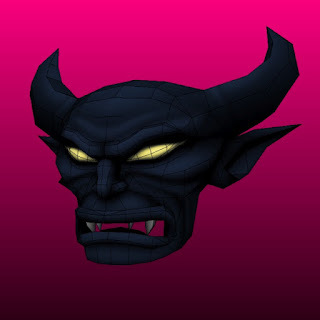 Chernabog also appears as a boss in the Kingdom Hearts I video game. The Pepakura PDO template for the mask is available here. 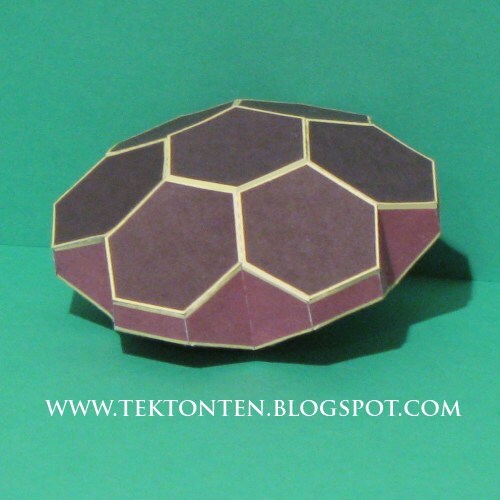 Origami doesn't get much easier than this. Take two squares of paper, add a couple of folds and you have a great looking King of Red Lions ship. 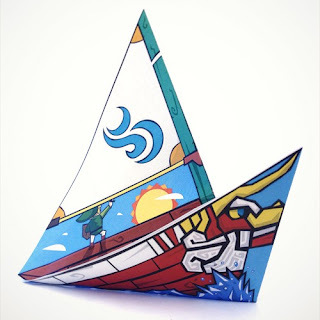 The King of Red Lions is a talking sailboat from the Nintendo video game The Legend of Zelda: The Wind Waker. This origami was created by illustrator Alex Griendling. The pattern for the boat may be downloaded here. Here's some Cubee paper toy characters from Studio Ghibli's 1997 movie, Princess Mononoke. On the left is Princess Mononoke herself, a girl named San who was raised in the forest by the 300 year old wolf god, Moro no Kimi (on the right). These cubees were created by DeviantART member Scarykurt. The templates may be downloaded here. 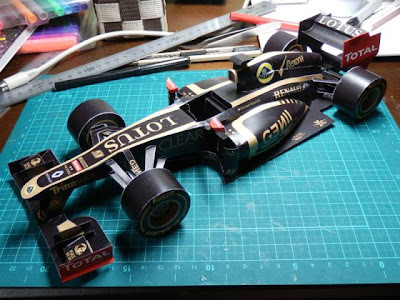 The Lotus E20 was designed and produced by the Lotus F1 Team for the 2012 Formula 1 season. The car is installed with a Renault engine and sports a double-DRS rear wing. This E20 paper model is available as a download here. There isn't any information in the template regarding the scale of the model. If anyone happens to know the scale, please leave a comment and let me know. An old fashioned arcade packed with pinball machines and video coin-op games is a rare thing anymore. 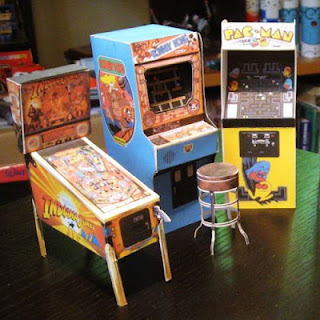 Now you can recreate the glory days of the video game arcade with these papercraft arcade machines. Pictured above are an Indiana Jones pinball machine, a Donkey Kong machine and a Pac-Man machine. Ten different video coin-op templates are available here. Six different pinball machine templates are available here. The build photo above is by Reis O'Brien. After a long hiatus, my son again started playing the multi-player online game Gunbound. I remembered seeing some Gunbound papercraft several years ago, so I did some digging around to see if anything was still available. 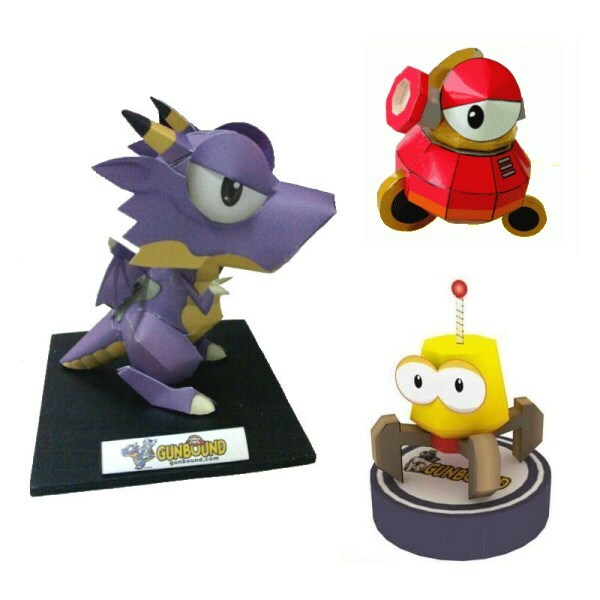 Here are the results of what I found: a Gunbound Dragon, a Raon Launcher, and a Raon Mine. If anyone knows of any others around, let me know and I will add them to the list. Surely there are more than just these three left! 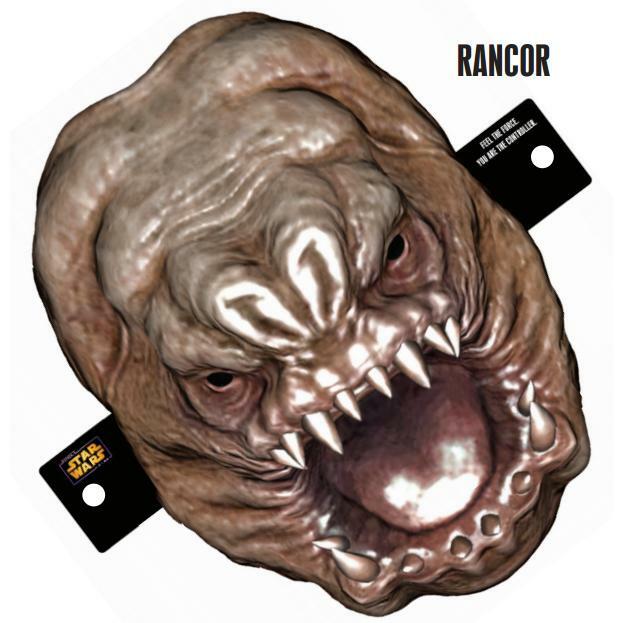 This rancor mask is part of a collection of Star Wars items released in celebration of the new Kinect Star Wars video game released in April. In addition to the mask, there are six paper toys, two posters, and a couple of computer wallpapers. The rancor, you will remember, first made an appearance in Return of the Jedi. For you convenience, all the Star Wars downloads have been collected by Chaunce Dolan on his web page here. Mage Knight is a fantasy themed miniature wargame that was the first to make use of the "Clix" system used in such games as Marvel HeroClix and Halo ActionClix. 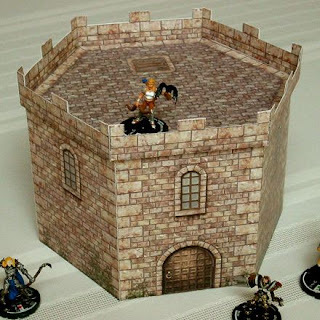 Whiz Kids, the creator of the Clix system, at one time offered free paper models for use as props with the Mage Knight game. Those models are no longer available from Whiz Kids, but a German Mage Knight fan site has preserved all of the old official downloads. Pictured above is one example: a gatehouse. Also available are a tower, a medieval house, city walls, and a bridge. The download page for the models is located here. Each of the papercraft architecture models is at 25mm /28mm gaming scale. 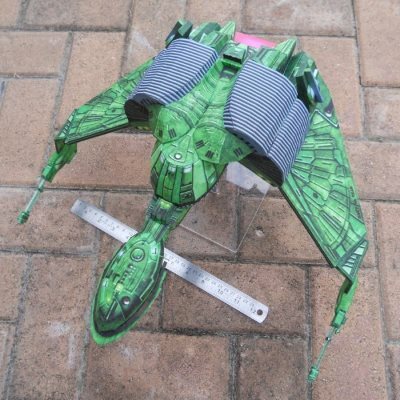 Matthew Green (the one who brought us life-size Samus Aran Armor) has started a Metroid papercraft site! 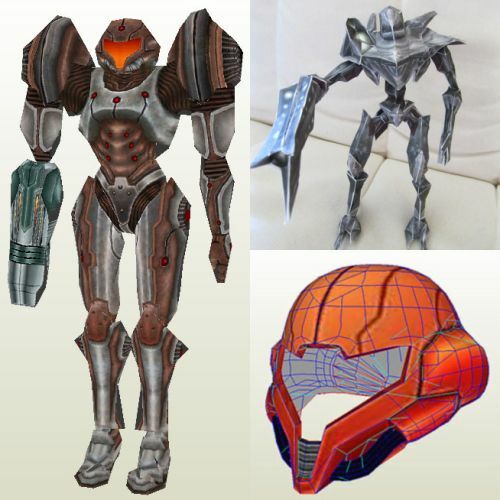 In addition to links to Metroid papercraft by others, Matthew offers downloads of his own original paper models. Pictured above are models of Samus' Dark Suit, a Space Pirate Commander, and a full-size, full-color Samus helmet. 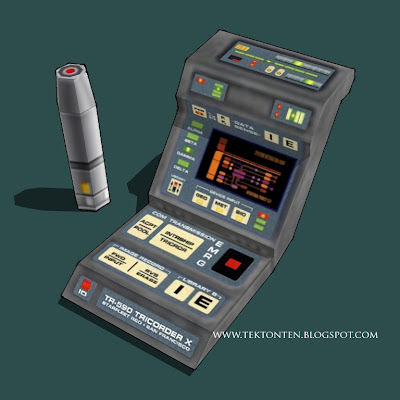 Check out these and many other Metroid papercraft goodies here. The PDF template for the Medusa may be downloaded here. Last year, the entire ReBoot series was re-released on DVD if you are interested in getting acquainted or re-acquainted with the series. I highly recommend it!